If you are an artist from India who is really good at drawing and painting and you want to expose you talent to the entire world then this website is definitely for you. 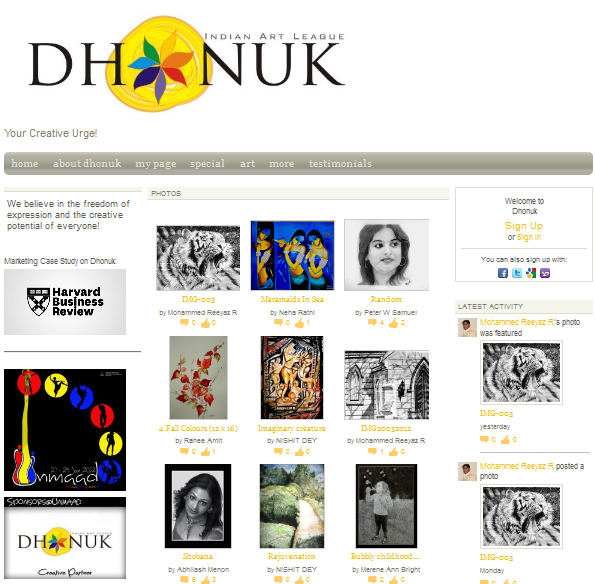 www.dhonuk.com is an online community for artists across India. Dhonuk showcases many Indian artists and is a platform for interaction for many artists across India. You can simply expose your talent to the rest of the world. Simply register yourself and start uploading your pics to get appreciation and feedback from all the artists from across India.